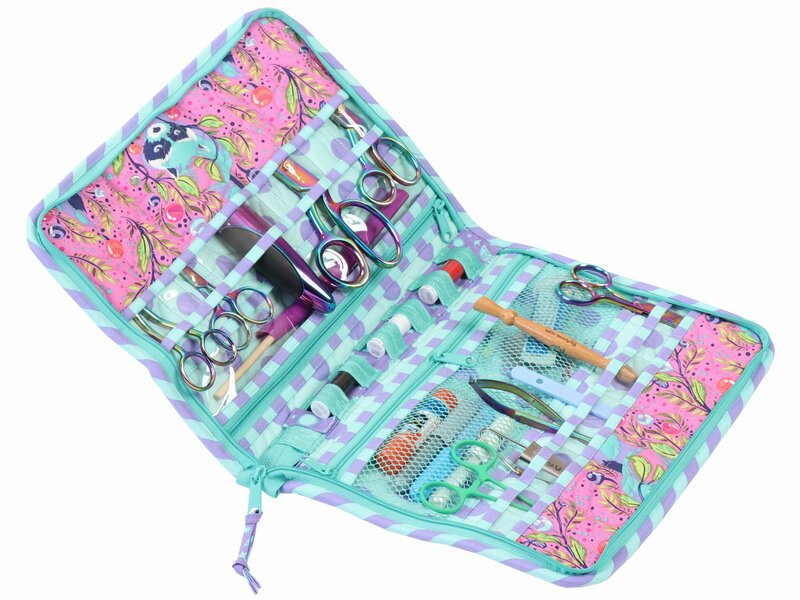 This convenient zip up gizmo case stores and carries rotary cutters, scissors and sew many other sewing supplies. You can even customize a variety of easy-to-access pockets in vinyl, mesh and quilted fabric to fit the notions you use and love. Wanda never disappoints; we are sure you’ll love this class. The companion bag to this pattern, Take a Stand, will be offered in a class next newsletter.